Many of your may remember my friend Dominique who has been #teamnatural for about 5 years now. 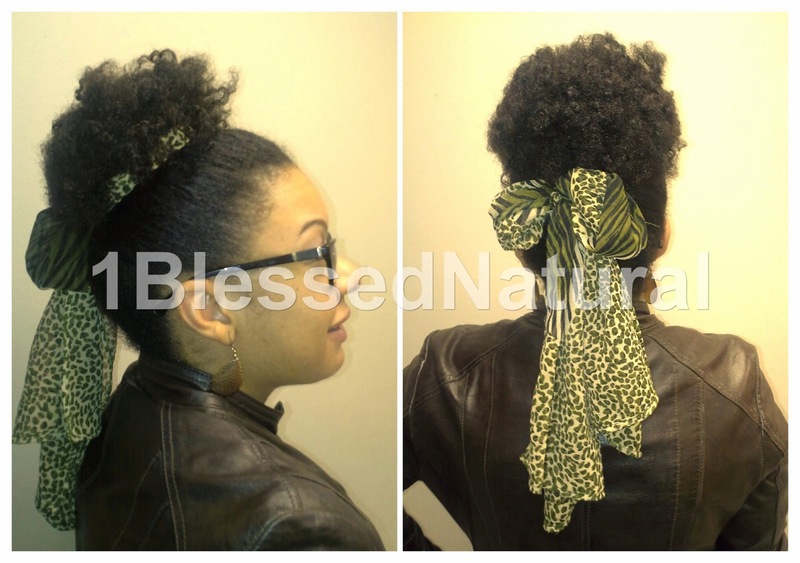 When we caught up with each other, she was rocking a cute little puff style that was tied with a scarf. In the back, the scarf was in a bow and the tails hung loose. Since Dominique did not feel like twisting her hair the night before, she worked with the curl definition already present. 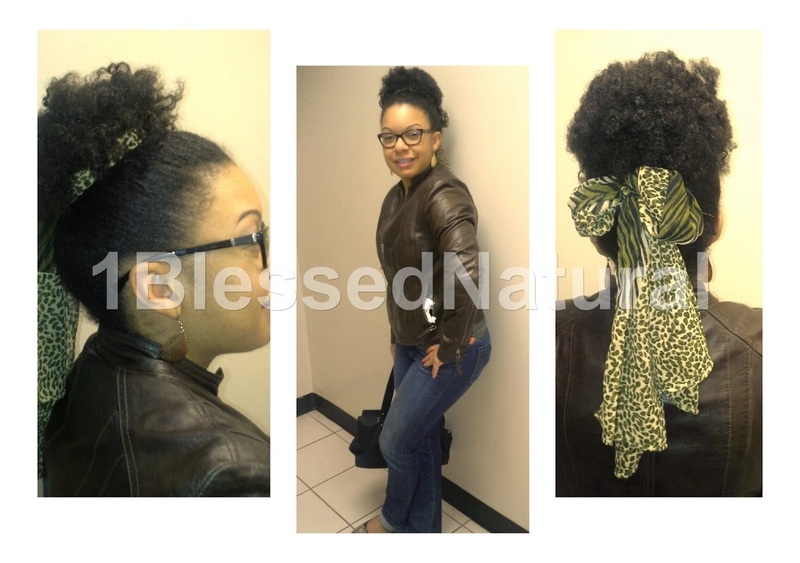 She used a brush and water to smooth her hair before using the scarf to create a puff. 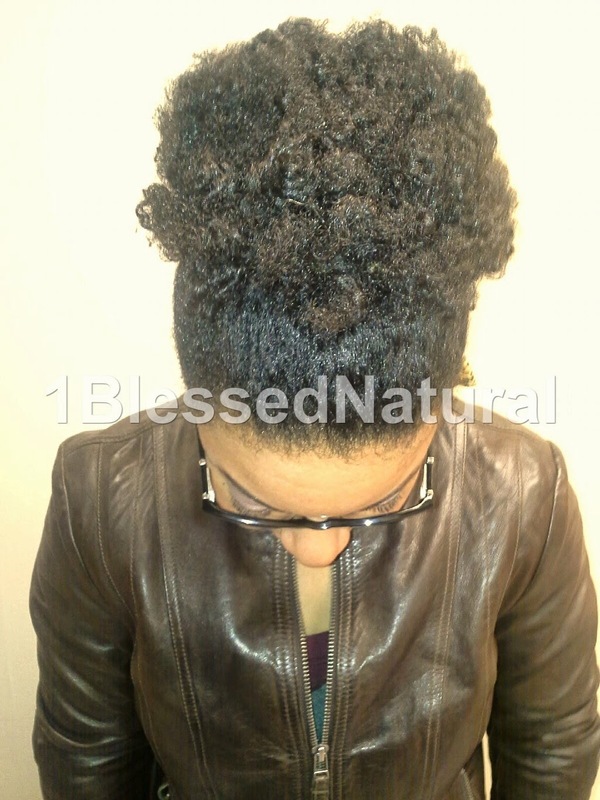 Natural hair puffs are great solutions if you need a cute and quick hairstyle. I thought the scarf gave Dominique's style a very nice touch. If you or someone you know would like their natural and/or protective style to be featured in the next 1BlessedNatural Spotlight article, please send an email to 1BlessedNatural[at]gmail[dot]com. You can also visit the Be Featured! if you would like your natural profile to be featured. What natural hairstyle(s) are you rocking this weekend?